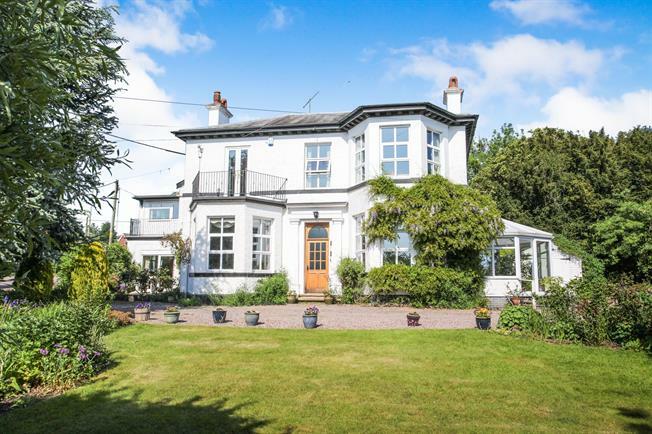 4 Bedroom Detached House For Sale in Stoke-on-Trent for Asking Price £750,000. Entered via a welcoming hall with attractive Minton tiled flooring providing access to the reception rooms. The sitting room enjoys views out of the bay window over countryside and has an open feature fireplace, ideal for Winter evenings. The formal dining room again enjoys the lovely views and a further reception room to the rear of the property is a cosy area to relax. The property boasts a traditional country kitchen with breakfast nook. A useful laundry room and WC completes the ground floor space. To the first floor the spacious landing space provides access to four fantastic double bedrooms one with en-suite bathroom, one with dressing room, a study and a further two bathrooms. Externally, lawns extend to the front and side with mature trees and planting. A sweeping gravel drive with two access points creates a great first impression.